“If your business is not on social media, you are missing out on a space where your customers are already talking about your business. “ You have probably heard this in a conversation about digital marketing. Truth is, the statement is quite true if you are looking to tap into the potential of an ever-growing form of marketing to grow your business- or help business owners generate revenue. And my main aim here is to help you leverage the power of social media to grow your business. So let’s get down to business. What comes to mind when you hear social media marketing? Do you think of a form of marketing that helps businesses sell their products and services through platforms such as Facebook, Instagram, Twitter or LinkedIn? The size of its audience. Which content you will be sharing. How to market on the platform. It would be fun to pick a social media marketing platform with all this in mind, don’t you think? I mean, this is what it takes to make an informed decision to develop a social media campaign . I will take you through the process of picking the right platform for your business but first, let us analyse the key trends that have shaped social media marketing so far. Chances are, you have interacted with one or each one of these, so I am guessing they are not new. Live Video is one of the greatest features on social media and a lot of users have embraced it. Live videos are commonly used to showcase a product launch, during brand campaigns or major events. In case you haven’t noticed, live streaming on social media has supercharged the game, Why is it so popular? How can you use it to build an audience of raving fans? Somewhere by the mid-2000s that we eventually had the proper tools and know-how to make online video streaming a thing. In 2005, YouTube was launched, and it changed how the world of videos worked. 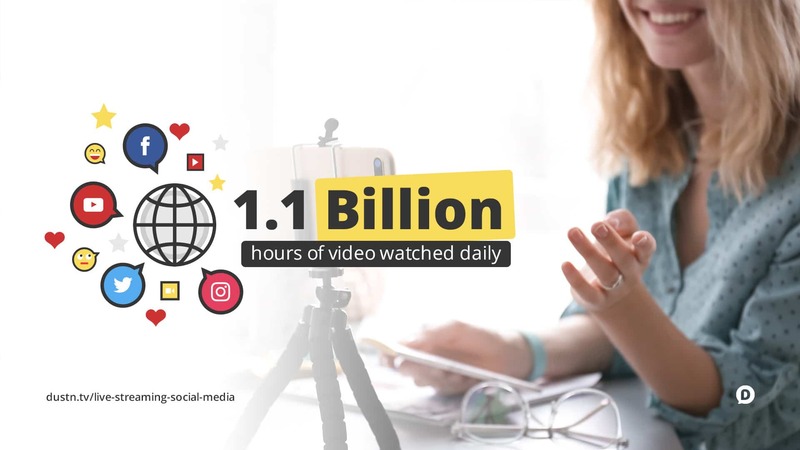 Between the big four video platforms w (Facebook, YouTube, Instagram, and Periscope) there is over 1.1 Billion hours of video watched every single day. Real-time video that is broadcast through a social media or online platform where it can be viewed by the public. Not only do they make your content interesting and relevant but live videos also help increase your organic which has seen a great decline lately. I will talk about organic reach later. In the meantime, I will tell you about another feature that is as interesting as live. Stories were first rolled out by Snapchat before being adopted by Facebook, Whatsapp and Instagram. This is a form of content created to be viewed for 24 hours before disappearing. You can create stories using short videos or images that include a text caption. Businesses on Instagram can even choose to advertise on stories. Does it get any better than this in social media marketing? Yes, it does, when you think about automation. Tell me you would not be excited by the thought of being able to schedule a month’s worth of content in a day. You would be excited, right? … and there are tons of third party tools available to help you with this. From Buffer, Hootsuite, Sproutsocial to Hubspot, you will definitely be spoilt for choice. Some platforms like Facebook, for example, have a scheduling feature that allows you to schedule your posts without the help of a third party tool. Simply put, organic reach is the total number of people who get to view your content after it has been published. Usually, this is measured within a period of 24 hours. A decline in organic reach means that only a few people gets to view branded content and brands have to up their strategy to continue being seen. This has been one of the toughest huddle for businesses. However, by creating content that is consumer oriented, a lot of them have seen some improvement. That’s quite a lot on social media trends, so let’s spice things up and analyse the major social media marketing platforms based on what I have told you so far? Nearly everyone who can access the internet is on Facebook. With over 2 billion monthly active users, as of 2018, it is so far the most popular social media marketing platform. Even more, Facebook’s huge user base falls between 18-65 years and is drawn from all walks of life. Because of this, business of all types have a great chance of reaching their ideal target audience. When it comes to advertising, you can target your audience for as low as a dollar a day. In addition, Facebook also let’s you reach your audience based on their geographical location and even narrow down to their interests. Basically, there is a broad range of options to make sure you reach the right audience. How cool is that? You are probably wondering how to talk to your audience on Facebook. Content is king and Facebook has invested a lot on it so that you can have variety. Most people consider Facebook’s scheduling feature their most favorite. However, their major concern is on how to create an outstanding profile that brands their business effectively. And a detailed about us. Moving forward, things are not much different on Instagram compared to Facebook. In fact, the two platforms tend to have a lot in common since Facebook Inc acquired the Instagram earlier in 2012. Did you know you can create Instagram ads through the Facebook ads manager, for example? Yes, this cool feature allows you to target your audience with better options than what you get when you boost a post directly from Instagram. As of June 2018, Instagram had clocked 1 billion monthly users which shows how fast the platform is growing. The number could even be higher in 2019. Unlike Facebook, Instagram is popular among users 18 – 35 years. For this reason, the platform is continuously rolling out new features to woo the older audience. Speaking of new features, Instagram shop is one of its most advanced feature to be rolled out so far. Although currently available only to users in certain countries, the shop allows you to directly tag a product on the platform giving users the freedom to take a detailed look of the product while still on Instagram. Clicking on a tagged product would normally direct users to your website on other platforms, which is why the Instagram shop is unique. Where else can businesses advertise on social media besides Facebook and Instagram? YouTube, Twitter, LinkedIn, Snapchat, Whatsapp, Pinterest, Reddit and Quora have a great potential that brands can tap into to reach their target audience. YouTube is by far the most popular video sharing platform. Can you believe that with just.over 1.7 billion active monthly users the platform garners over 150 million hours of video views daily? This is another great platform that business can reap heavily from through advertising. You have definitely been bombarded with hundred of adverts as you enjoyed your videos on the platform. Don’t you think you should also showcase your business on one of those popular videos on YouTube? Besides advertising on videos, you can also set up your own channel and create quality content that showcases your brand and gets users to subscribe to your channel. Set clear goals that define who you are, your ideal target audience and what you want to achieve. Identify your best platforms and. research on the audience. Create and brand your social media profiles to reflect what your business is all about. Come up with a detailed content marketing plan that involves content creation, scheduling and marketing. Set up an advertising budget to maximize on your chances of reaching your target audience. Define your key metrics and figure out how to interpret each one of them. Social media presents a great marketing platform with its huge user base and advanced advertising features. Used effectively, businesses can tap into this to generate more revenue and brand themselves effectively. Have you used social media to market your products? Which one stood out for you?